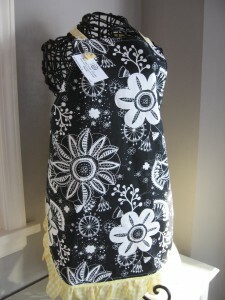 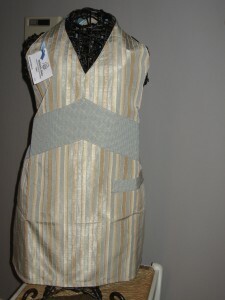 Definitely Dishy aprons are available in a wide variety of styles, but each apron is truly one-of-a-kind. 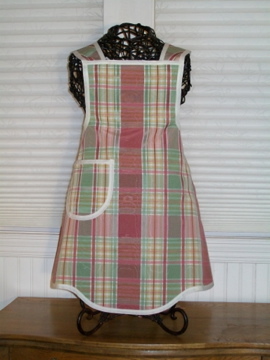 We enjoy the creative process of matching fabric to a style, selecting the pocket or trim treatments, then constructing each apron. 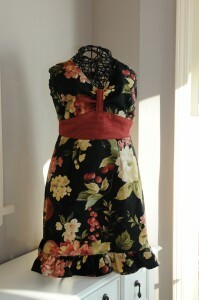 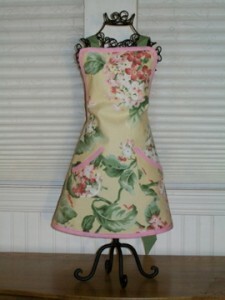 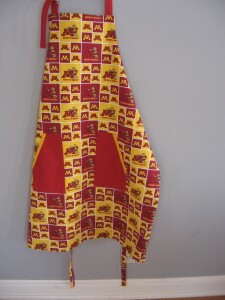 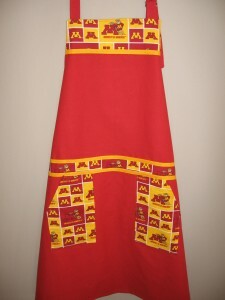 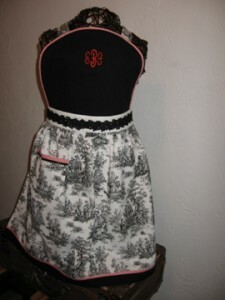 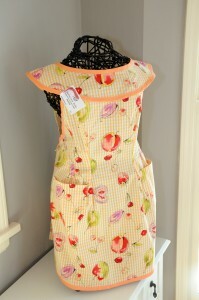 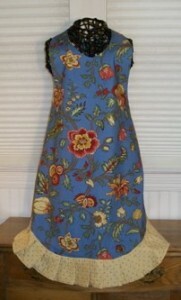 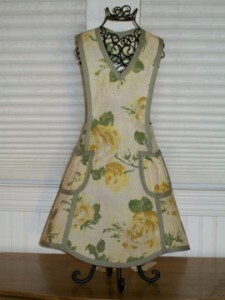 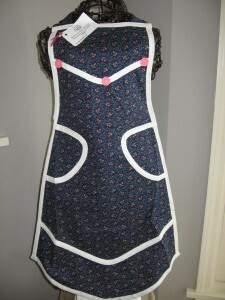 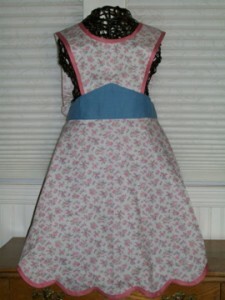 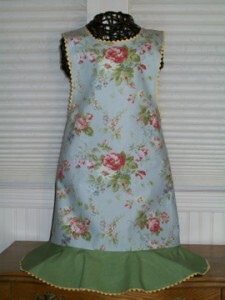 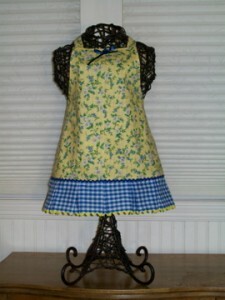 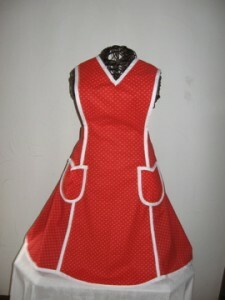 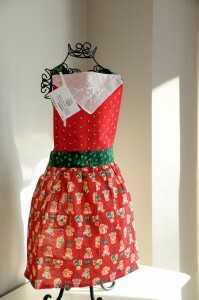 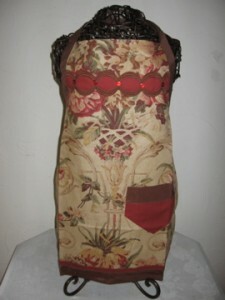 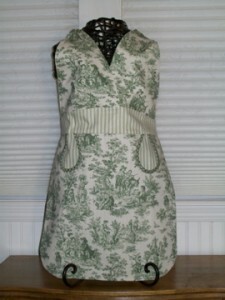 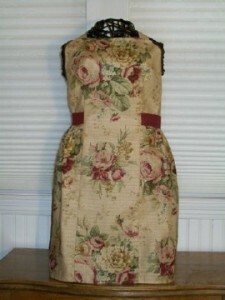 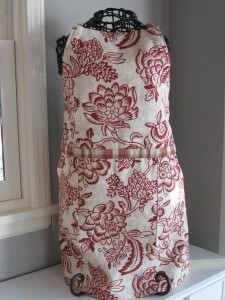 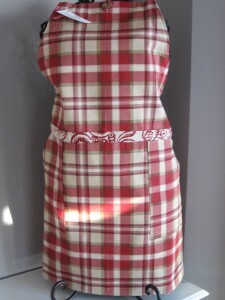 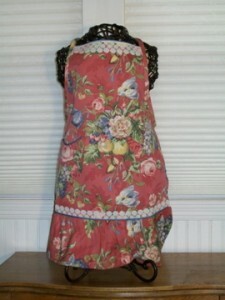 Our goal is to make aprons that you enjoy wearing, and that express your individual taste and personality. 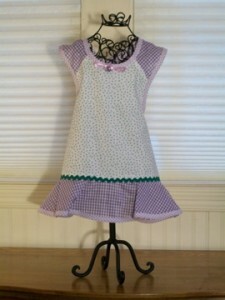 We identify each style by name; browse these examples of the various styles for women and children, and if you want to see more of a particular style you can see them on the individual style page. 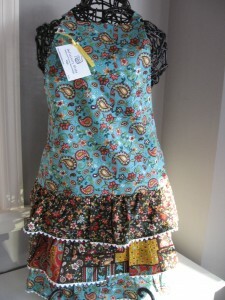 You can click on any image to enlarge to see more details.